The Holiday Inn Bibliotheque de France is ideally located on the famous Paris Rive Gauche.Few minutes walk from the river Seine, the famous French National Library and the Bercy Stadium.The Holiday Inn Bibliotheque de France is 100 meters away from the automatic subway line 14 Bibliotheque station, and RER C, which offer you a direct access to the Eiffel tower, Invalides, Orsay & Louvre Museums, Saint-Michel, Notre Dame, Versailles castle, Orly airport, Austerlitz & Lyon train stations. 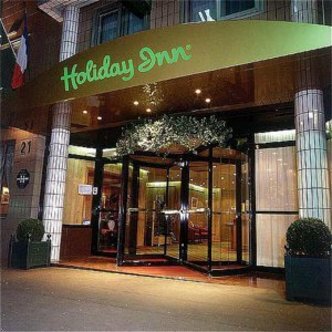 Take a 15 minutes stroll towards the famous Paris China Town.Situated in the major corporate sector of Paris, only 5 minutes by foot from International companies like Accenture, Merck, Natixis, France Telecom, Rockwool and Doris Engineering.Very close to historical places of and International companies, this 3 star hotel is an ideal place for both leisure and business travellers.With it&regs 71 rooms, the Holiday Inn Bibliotheque de France also offers the following services :WIFI internet connection in rooms, lobby bar and meeting room. Room service, private underground secure parking. Holiday Inn Bibliotheque de France can also accommodate families up to 5 persons in it&regs connecting rooms.